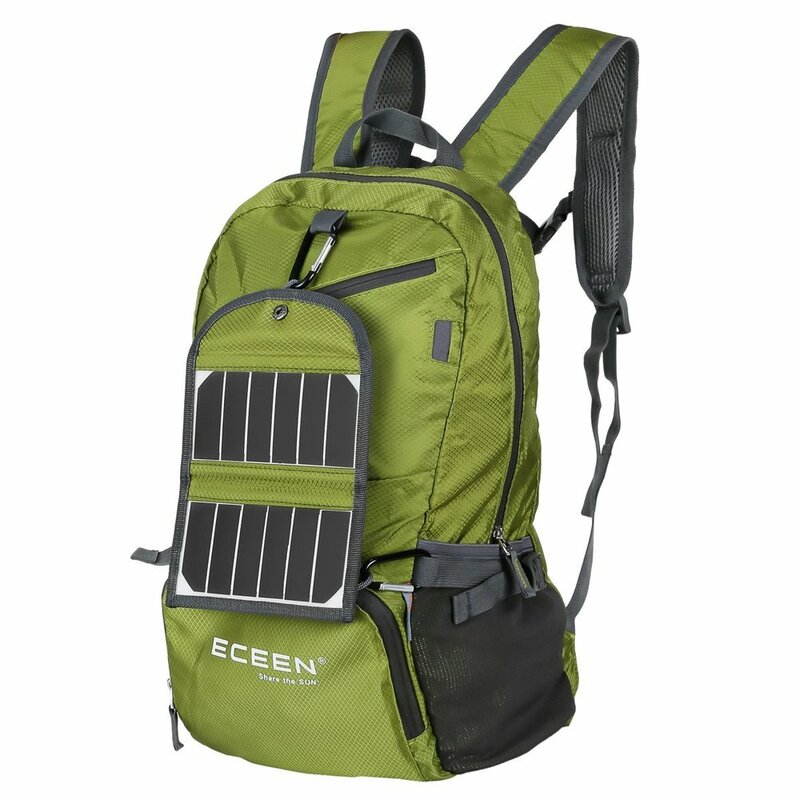 The ECEEN Solar Backpack captures more sunlight than conventional solar panels, so in turn, it generates more electricity per panel. It can store energy to use at night. 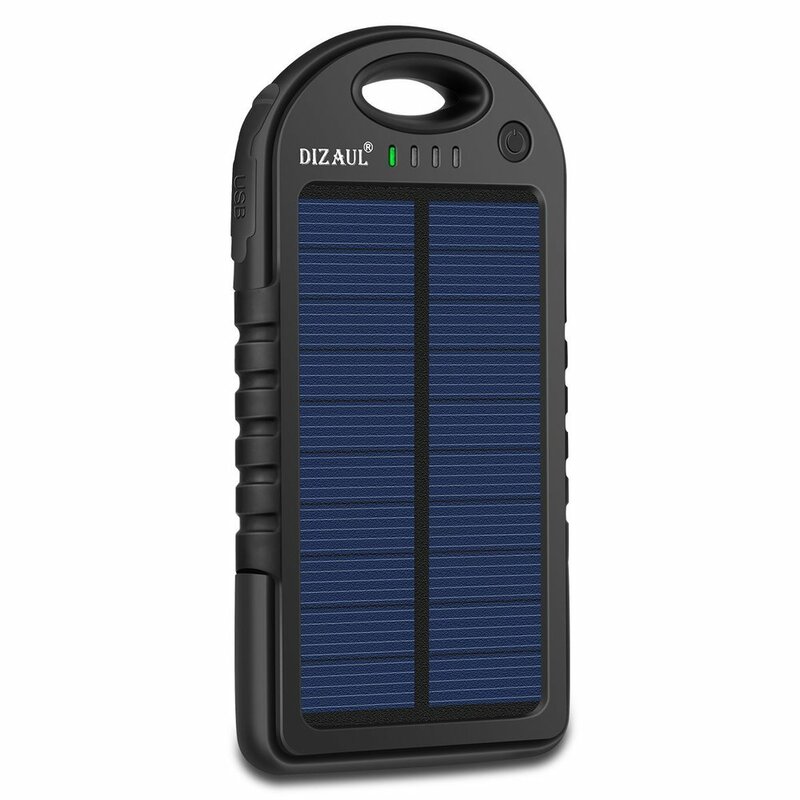 The removable, compact size solar panel charger is designed for portability. With a stylish look, this pack-able, go-anywhere bag is for super-minimalists who make every gram count. The adjustable and breathable straps make it easy and comfortable to carry all day. It folds into a zippered inner pocket to fit anywhere and unfolds from the pocket to use as a backpack. Being lightweight and roomy, it is a true space saver. This is an ideal pack for spending big days in the backcountry. No matter what your tool of choice is, this pack has an appetite for devouring gear. Vertical snowboard/snowshoe carry, A-frame & diagonal ski carry, stowable helmet carry, fleece-lined goggle pocket and zippered backpanel access make the Poacher 36L absolutely unstoppable. Offering lightweight comfort and cold-defeating insulation, this mummy-shaped sleeping pad uses advanced technologies and construction so you can rest easy in cold climates. NEW Air Sprung Cells that provide unrivaled comfort and support; the UltraLight Insulated Regular is designed with 181 air sprung cells. A Multi-Function Valve that integrates inflation and deflation plus pressure adjustment into one low-profile design. The Extruded TPU Lamination with Antimicrobial treatment prevents delamination and internal bacterial growth. The Equivalent R-Value is 2.5 and the Thermolite with Exkin Platinum provides excellent insulation and warmth to weight ratios. A high quality Nylon stuff sack and a 3M repair kit is included. This pack is an all-terrain hero. The L.U.X.E.™ carries enough gear for a full day adventure with a narrow-gauge design that lets you focus on the adventure, not your pack. The 3 liter reservoir holds plenty of water and the pack offers extra storage for anything you might need. The ventilated back panels keep air moving over your back, and the removable waist belt keeps everything in place. Thanks to the women’s-specific design, the contoured shoulder straps fit comfortably on your chest without chafing, and the shorter pack length offers a better ergonomic fit. Pierce the darkness and be safe with LuxoLite's premium headlamp! This reliable, best-in-class head flashlight with red light is the best versatile LED headlamp money can buy! This inflatable lounger is a great way to relax in the park, backyard, at a concert, on the beach, or anywhere your heart desires! A unique square shaped headrest for superior upper back and neck support that gives you the ultimate comfort anywhere. Easily inflation -- on a windy day, it can be inflated fully no more than 10 seconds after you run a few steps against the wind, and it does not need any inflation tools. Weight bearing limit of up to 500 lbs, and it won't crack after jump several uses. Lightweight and durable polyester fabric, that is waterproof and can even float. Functional side pockets -- 3 pockets on different sides of the inflatable couch. 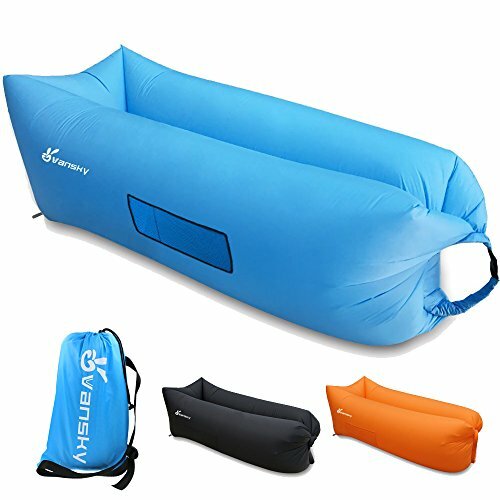 Lightweight & compact -- Weighs only 2.5 lbs, measures 14x7x4.7 inch when stored, inflates up to 77x36.6x22.8 inch, loading weight 500 lbs. Stays inflated for 4-8 hours. Full Lifetime Guarantee and friendly, easy-to-reach customer support. The Spark II by Sea To Summit has a streamlined feather-weight design with additional proportional 850+ down fill to take you into cooler summer through fall temps while still compressing to a small size. This sleeping bag is great for remote workers who like adventure during all seasons because it doesn't add a lot of space to your travel pack while keeping you warm all night long! When traveling and working remotely you power outlets can be few and far between. 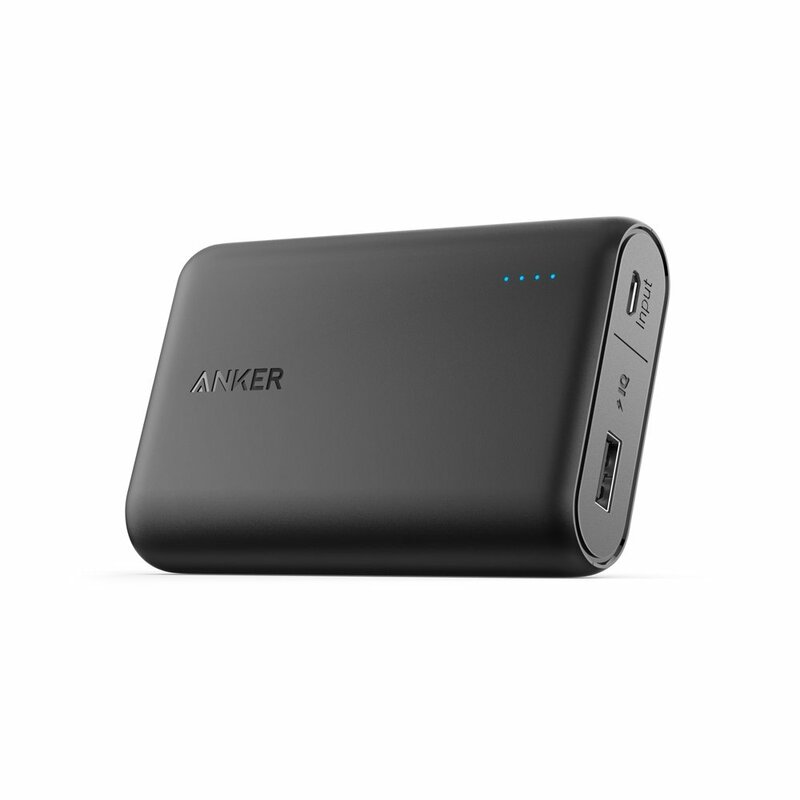 One of the best portable solar chargers on the market, Dizaul 5000mAh has a unique design and features to fulfill all your charging needs. Made of eco-friendly silicone rubber and ABS + PC material, and with rubber paint surface process, and Football grain design has an anti-skid protecting effect. Water resistant design ensures the device functions smoothly when it's raining; Shock-proof feature ensures the device work properly even it crashes or drops. The Dual USB ports, emergency flashlight, and the smart LED indicators make it a futuristic device. A little water on you never stopped you from your remote working life so why let it stop you from grooving to your favorite beat? SoundLink Color Bluetooth Speaker by Bose is one of the best Bluetooth speakers of 2017, small yet powerful with water resistance. While buying a Bluetooth speaker you may look for features like water-resistant, compactness and durability. One of the best Bluetooth and wireless speakers you should buy is Bose SoundLink Color Bluetooth speaker II.